What is Hypnosis for Birth? Epidural or Hypnobabies or Both? I took HypnoBirthing with T2 and Hypnobabies with T3. Here are my insights into the differences. I originally wrote this when my Hypnobabies class ended. The bold thoughts are what I added after I had Bryson. Here are the things I really like about the program. There is also a great quick reference guide with prompts for Rob to help me get refocused. I am not sure if Rob used this, I never really got unfocused. But he DID use the hand on the shoulder saying release cue for each of my pressure waves, once I asked him to. Actually in watching my video, I see he IS reading me birth prompts when I am 9cm. I love that each hypnosis cd lasts 30 minutes… which is a great length, just right for my older boys to watch 1 show and I am up and ready to interact with them again. Some are shorter about 24 minutes… still love this, as I have the after the baby comes cd and the peaceful sleep cd and still use those. I also have enjoyed having a class to go to and to get to know other families who are doing this. But even if we had done the homestudy it would have been more informative and comprehensive. 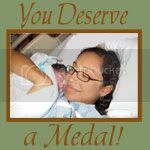 I actually am taking the classes again to get certified as a doula and still love the classes. I am so glad I will have a hypnosis cd just for my birthing day. I really wanted one when I had Carson. THIS was probably the biggest difference. The CD seemed to be perfect, she would say things just as they were happening. For instance right before they broke my water I heard, “when your water releases it will be like a wave of anesthesia.” It was so cool how I always was hearing things right as I needed them. LOVED IT! which I took 5 years ago while pregnant with Carson. There was only pregnancy affirmations and 1 hypnosis cd to listen to. The classes had good relaxation info, but not great birthing info. There was not really good instruction on how to get re-into hypnosis if I got unfocused. Which did happen after 14 hours painfree labor I lost focus when I was “stuck” at a 7 for 3 hours. Once I made the mental shift that I would get an epidural if I was still at a 7, then I felt painful contractions… before that I just felt pressure. So here I am at 31 weeks, looking forward to the day I have this baby. Not because I am uncomfortable (while I am at times) but because I am excited to give birth again. I truly loved giving birth to Carson and I think HypnoBirthing helped with that. His birth was an incredible empowering experience. This time I imagine it will be even better because I am better prepared and it will be my second VBAC, so hopefully a little faster. 🙂 Indeed it was a better birth, faster, no medications, no pain… it was AWESOME! So I would say I am SOOOO glad that I did Hypnobabies this time. I am glad I did HypnoBirthing with Carson, because that was the only option I had at the time and it was helpful. I was better prepared in so many ways for this birth because of Hypnobabies. Some other differences between the 2 programs… in HypnoBirthing they do a fear release session, but with Hypnobabies you get a fear release CD so you can listen to it as many times as you feel you need it. Great benefit for moms who might have more concerns than others. Also Hypnobabies covers typical interventions done during birth and the pros and cons of these, so you are able to decide which interventions you do and don’t want during YOUR birth. Note: I wrote this post over 9 years ago. 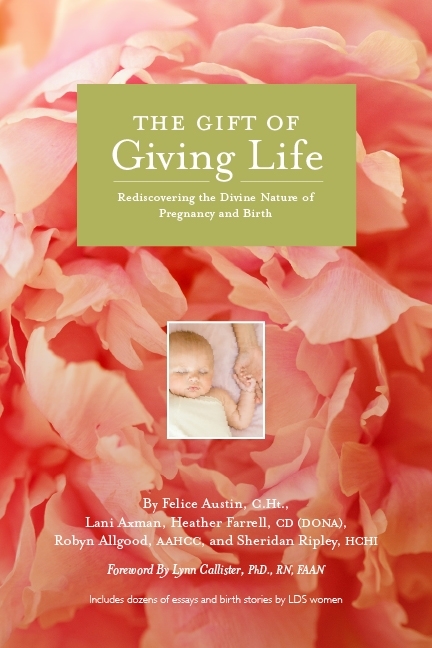 If you are a mom who has already taking a HypnoBirthing class and you wish you could have something MORE to add to it (such as a special CD to listen to during your birthing day), you could ask your instructor to make you more scripts to listen to. I know some HypnoBirthing instructors offer this. Want to know how you can take Hypnobabies? If you are interested in learning Hypnobabies, please visit the Hypnobabies site to learn more. Click here! Have you taken Hypnobabies and HypnoBirthing? I would love to hear your comparison, please leave your comment below. I am already enrolled in a Bradley Class with my husband and am trying to decide between a home study of either Hypnobabies or Hypnobirthing. During a time when money is tight, Hypnobirthing sounds more appealing as the cheaper option and it seems as though there is a great deal of overlap in Bradley and Hypnobabies. I would appreciate any insight you may have into this. I wasn’t aware HypnoBirthing has a home study option. I know they have a book, but I believe that is meant to be a supplement to their live class. I don’t know if it comes with any CDs to practice with, etc. So I don’t really know the answer to the question. If you are talking about just using their book and 1 CD, I don’t know if that would offer enough tools. I would say there is some information that overlaps with Bradley and Hypnobabies, but the hypnosis tools are the things that you will really benefit from by taking Hypnobabies and those are not in Bradley. I hope this helps. If HypnoBirthing has an actual home study, I would love to see a link to it. So that I can learn more about it and better support my readers. My husband and I are gearing up to begin trying for baby #1 together (his 3rd baby, my first). I have been watching birth videos on youtube for about a year now and reading as much as I can about natural birth techniques. From what I have observed is that with HypnoBirthing, the birthing mama’s do GREAT during labor, but once they transition and are in the 2nd phase of active labor, they have a tendency to lose focus and that’s when the pain sets in. I believe this is because HypnoBirthing doesn’t prepare mama’s for the actual PUSHING part of giving birth. They are taught to “breathe their baby out,” instead of pushing, so when their body takes over and they can’t help BUT push, it is confusing, it’s unexpected and the unknown is where fear lies. HypnoBabies, on the other hand, is much more in depth and seeks to prepare you before, during and after pregnancy. HypnoBabies takes you through a “birth rehearsal”, they teach you different techniques for the “pushing” process. HypnoBabies also provides MANY more scripts for the statges of your labor, as well as a home-study course. The homestudy is approximately $180 and the in-person classes are up to $500 (their instructors are not allowed to charge any more). Unfortunately there’s no one who teaches HypnoBabies in my area, so I’ll probably do a hybrid of the home-study course of HypnoBabies and an in-person class for HypnoBirthing (which is the cheaper of the 2 classes, so hopefully they’ll balance each other out cost wise). Interesting…. I didn’t even really know there was a difference! As a physician, I am so amazed to hear the stories of how women who choose hypnobirthing have a much easier time with birth. The most recent study I read said that while the request for pain medication was the same, the hypnobirthing women had far less anxiety/fear than the women who did not prepare that way. Anyhow, I love learning about this stuff, and I am definitely excited to use one of these methods for my own pregnancy. I love when physicians are into this 🙂 The ZENbands sound cool, I am going to check them out. Thanks for the info. On another note, I cannot imagine the request for pain medication would be the exact same with hypnobirthing mamas versus mamas who didn’t come as prepared in that way. Would you mind posting the study? I am so interested! I used hypnobirthing for my last three babies. The comment about the pushing part was how it was for me. I always felt like I didn’t do the method correct at the end because it was all about pushing. But I absolutely loved the education of what my muscles were doing and how to assist and not resist. The thing that helped me the most was super slow music … focusing on a wave or faint chime and staying thoroughly relaxed. Does one course advocate music more than the other?